For women hoping to start a family, finding out they’re expecting is a fantastic experience. They soon begin to feel a strong maternal bond with the baby growing inside. Expectant moms want the best care for their babies and to give them every chance of healthy development and birth. Expert OB/GYN Jocelyn D. Slaughter, MD, at The Healthy Woman, in Snellville, Georgia, offers a detailed look at your baby while it’s still growing inside you with 3D ultrasound. If you’d like to see high-quality 3D ultrasound images of your baby before delivery, call the office or book an appointment online. You’re probably familiar with the ultrasound machines often used by doctors and clinics to get a clearer picture of internal organs and developing babies. It’s the test in which the technician spreads cold gel across your stomach and passes a probe gently across your flesh to create an image on a screen. Three-dimensional ultrasound works on similar principles, using sound waves to form the image, but it differs in that the resulting pictures are in three dimensions. That means you can see your baby’s face and entire body, and you can see far more details than you could pick up in a standard ultrasound. Research shows that ultrasounds generally pose few risks, but as with any medical procedure, you should discuss what’s involved with a skilled OB/GYN. Dr. Slaughter has extensive experience in caring for expectant mothers and their unborn babies, and she has the clinical expertise to advise you on safety in all aspects of your pregnancy. You should always use a qualified specialist like Dr. Slaughter rather than using a commercial provider, whose staff may not be as well-qualified. As well as being able to see your baby in such fine detail, a 3D ultrasound also offers doctors a chance to spot possible problems that may not have been picked up on a standard ultrasound. For example, a cleft palate may not be clear on the standard ultrasound scan but would show up on a 3D ultrasound scan. The earlier such defects are picked up, the better the prognosis for you and your baby, as treatment plans can be put in place to provide any extra care you need. What happens during and after a 3D ultrasound? Three-dimensional ultrasounds follow exactly the same procedure as standard ultrasounds, using gel on the stomach to help the sound waves carry and a probe to create the pictures. 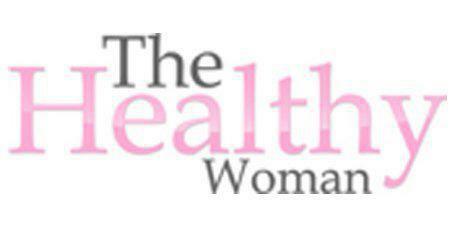 During your scan at The Healthy Woman, skilled practitioner Dr. Slaughter talks you through the process and points out all the baby’s features on the screen. You also get copies of the 3D ultrasound images to keep following the procedure. If Dr. Slaughter sees anything that concerns her, she’ll discuss it with you and investigate further. To talk to her about having a 3D ultrasound scan, call the office, or book an appointment with Dr. Slaughter online.